Ahhh Santorini, Santorini, Santorini.... I do love you. Unfortunately the honeymoon has well and truly passed - but the memories (and photos) I will have for life. 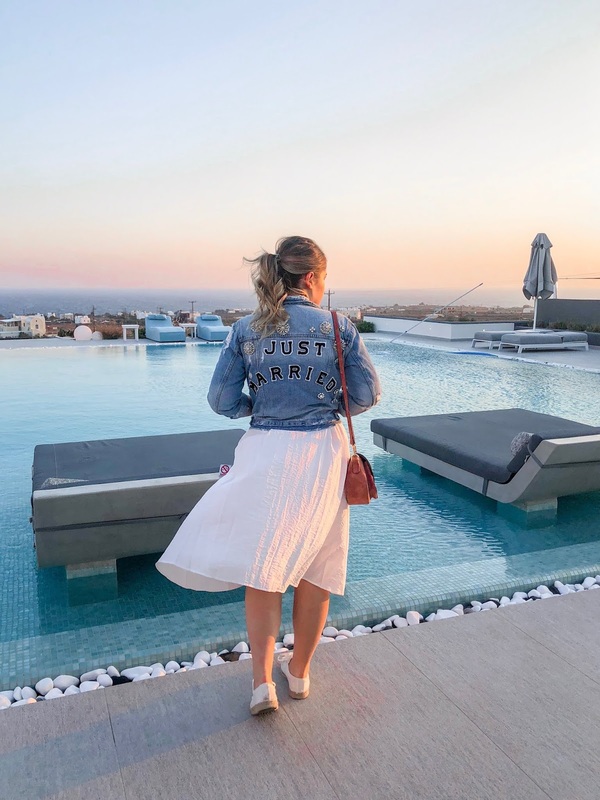 When honeymoon planning first came about, I didn't have a set idea of what I wanted to do or where I wanted to go, but I knew Santorini had to be on the list. For years my Instagram feed has been flooded with stunning photos of this small island. 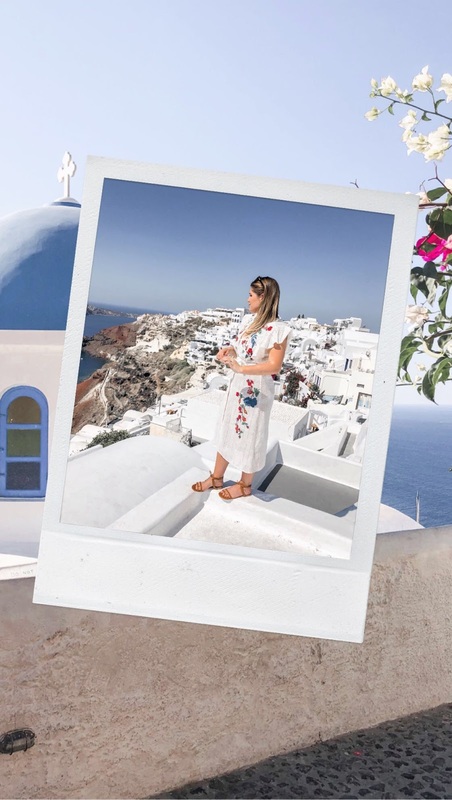 Cliffs lined with blue and white buildings, lane ways littered with pink bougainvillea trees and sparkling blue waters - it looked like a dream.... and it was. 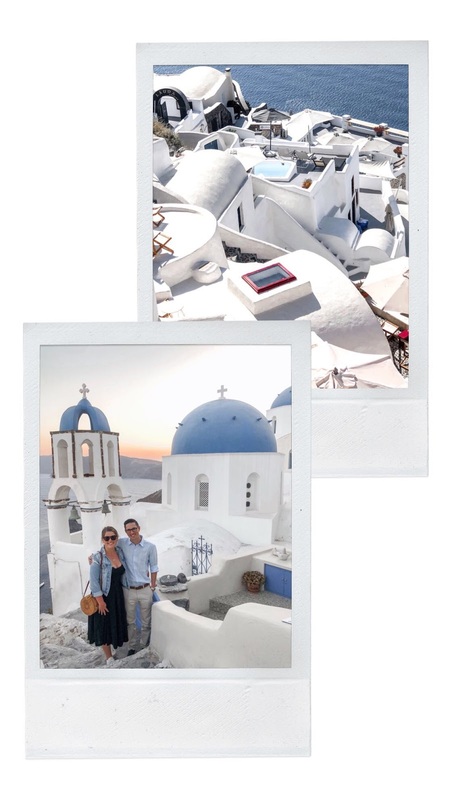 My honeymoon became real when we arrived in Santorini - we were alone at last in a breathtakingly beautiful location. 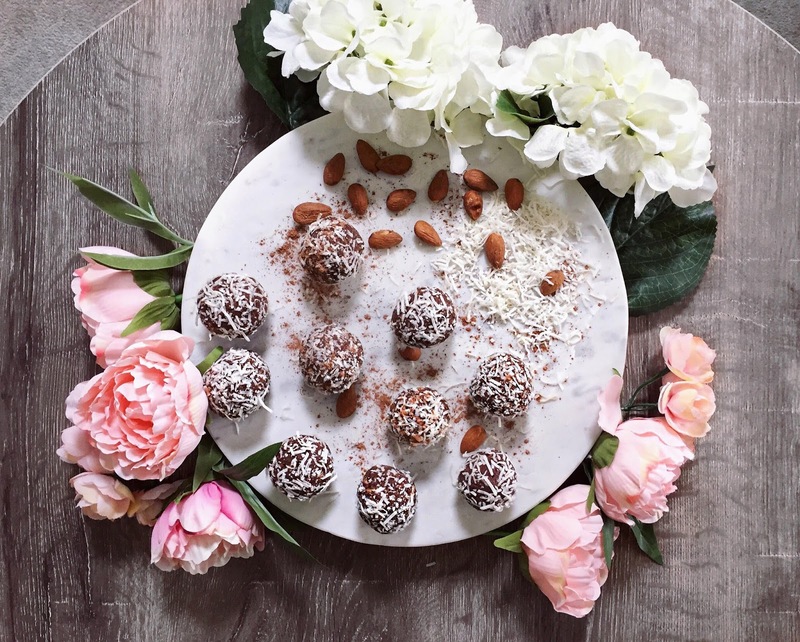 After months of wedding planning, followed by weeks of entertaining international guests and family, the actual wedding, immediately followed by a mini-family-moon to Port Douglas, we were well and truly ready for some time alone. 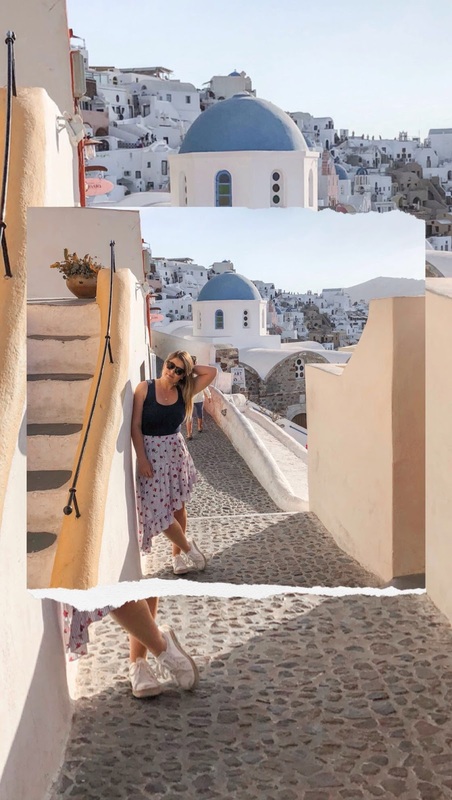 Santorini is everything you see in the pictures. So incredibly vibrant that filters were almost unnecessary... almost. 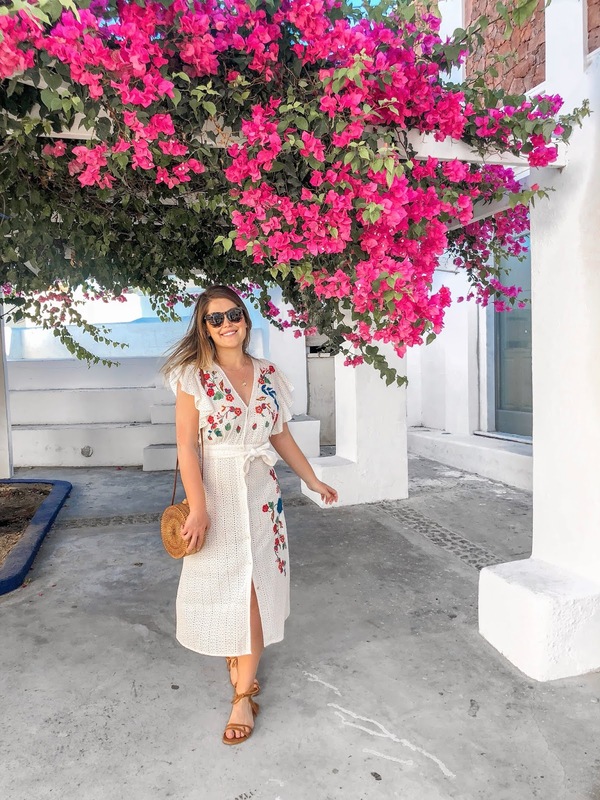 Everything in Santorini is photogenic, every corner you turn is an Instagram photo waiting to happen. As with all holidays, once it was set in stone that we were headed to Greece, my next question was 'Where to stay in Santorini'. After doing a bit of research I had my mind set on Oia. Oia is one of the most well-known towns in Santorini, but it is also one of the most romantic. 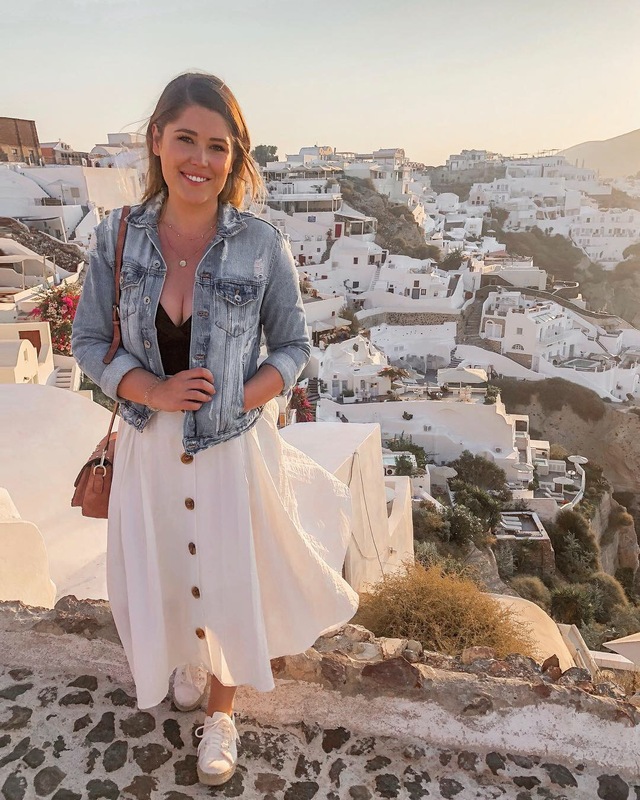 Oia is filled with honeymooners and it makes total sense. It is both insanely beautiful and somewhat expensive. It's the kind of place you save up for and reserve for a special occasion - like your honeymoon. The downside to Santorini is that, unfortunately it can also be filled with tourists - and a lot of them. So when it came to picking accommodation, I wanted to stay off the beaten track without compromising on luxury or location. 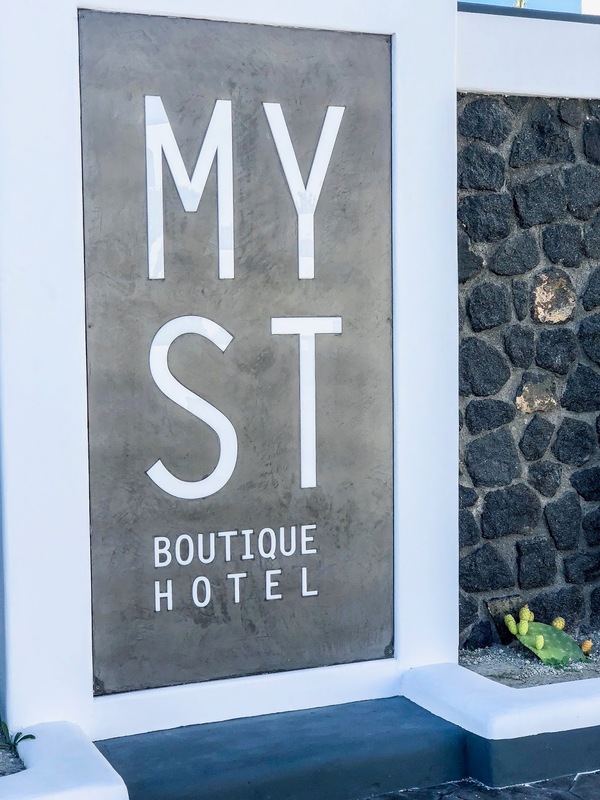 Myst Boutique Hotel was our answer. 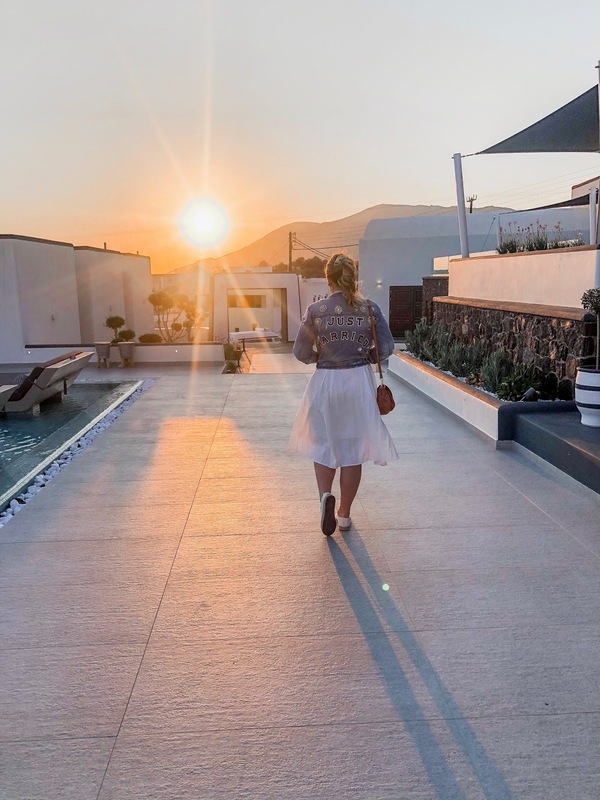 Myst Boutique, a newcomer to Santorini's luxury hotel scene, made for the perfect place to base ourselves for our four night stay. 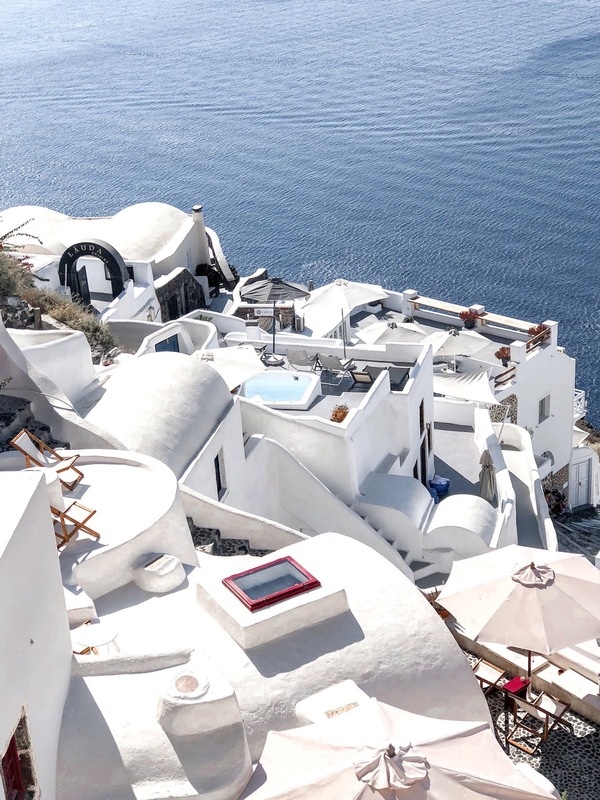 The location couldn't have been more ideal; just 800m from Oia, Myst offered the best of both worlds - ocean views with plenty of space and privacy.With a limited number of rooms, the hotel never feels too crowded. The welcoming staff and small personal touches made for the perfect start to our honeymoon. Our room was located on the back-end of the hotel, boasting endless sea views. 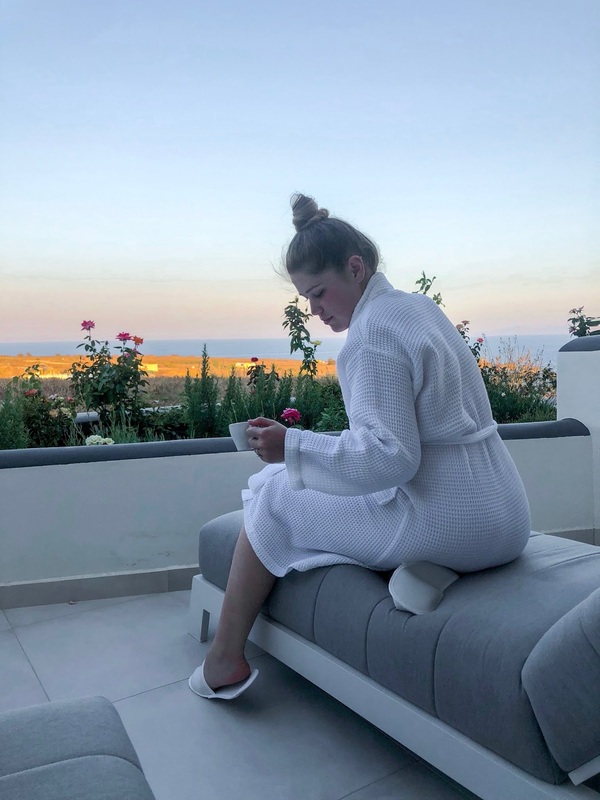 Our private balcony, adorned with day-chairs and a personal hot-tub, made for the perfect spot to enjoy our morning coffee, and come back to in the evening to relax and unwind after a day filled with exploring. The room was decorated in a simple, yet luxurious style - the minimalist colour palette is testament to cycladic architecture. The breakfast buffet, included in our room rate, was a real highlight of our stay - much to my waistlines dislike. Breakfast consisted of a personal choices of eggs accompanied by a fresh juice. 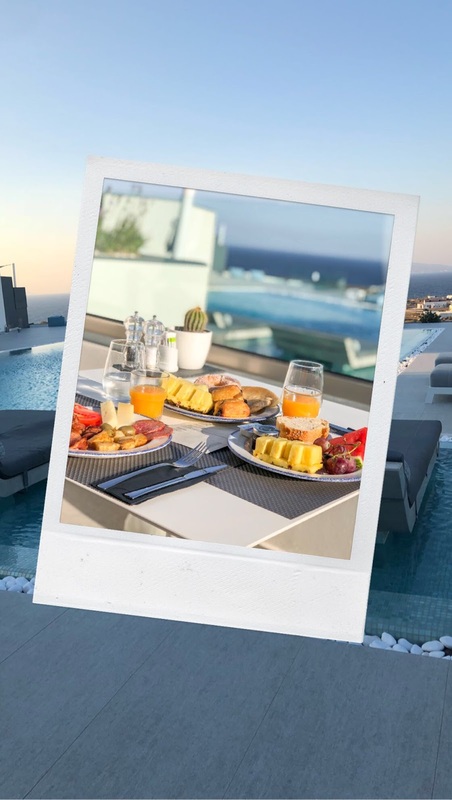 The buffet included an overwhelming variety of local Greek breakfast delicacies such as home-baked sweets, local cheeses, Greek honey and yogurt and house made marmalade's. The buffet also featured the traditional breakfast classics of eggs, bacon, fresh breads and baked goods. My guilty pleasure throughout this stay was the delicious Greek (large, sugar coated) doughnuts that were on offer - I'm still dreaming of them weeks later. As for location, just 800m from Oia, there's a few options on your hands. Myst offers complimentary lifts into town, alternatively you can walk of the doughnuts with a short walk (approx. 10 minutes). I highly recommend doing the walk at least once during your stay as the short cut takes you through a small village which is a great way to get a feel for how the locals live. 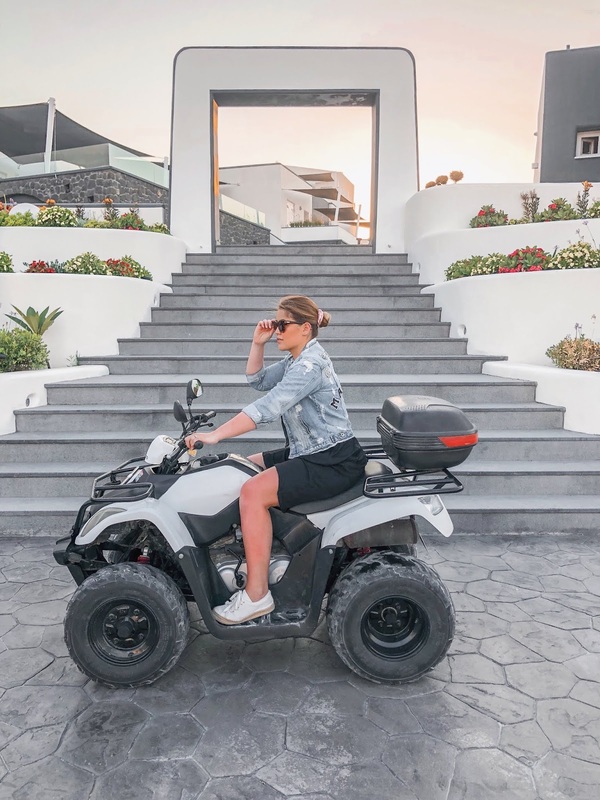 The other option is to hire a quad bike, which was our preferred method of transportation. 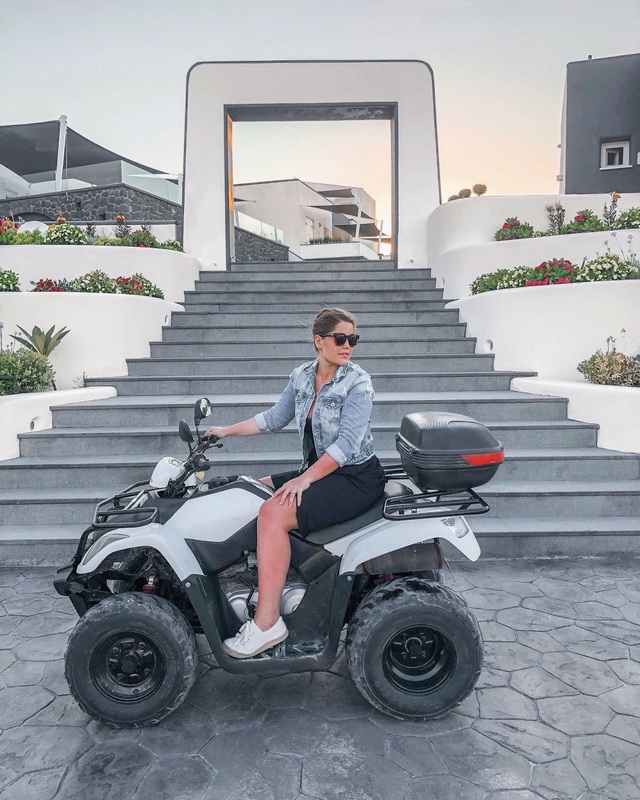 We hired a quad bike for the duration of our stay and not only was it the easiest way to get around, it was definitely the most fun. But please be warned, quad bikes are considered highly dangerous across the island so please be careful and don't make silly choices. 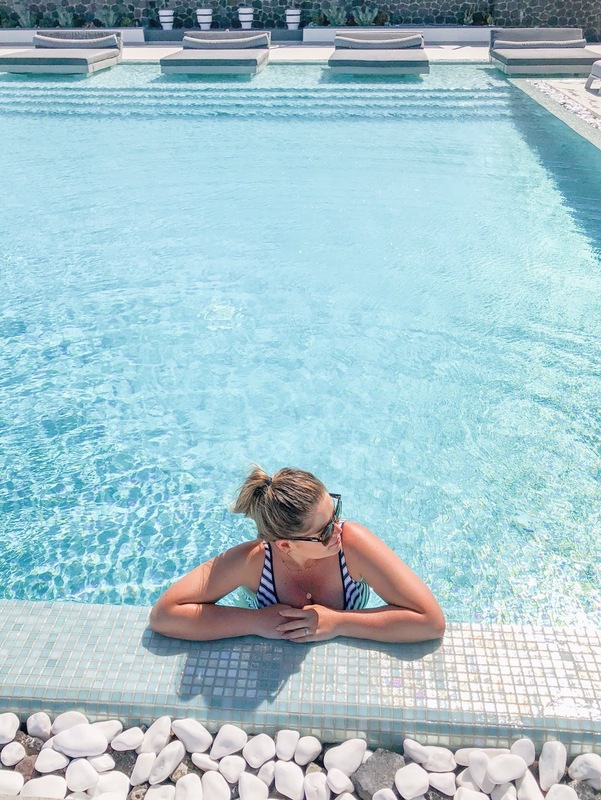 Keep your eyes peeled for my next post - 'What to do in Santorini'! For more information on Myst Boutique, click here. 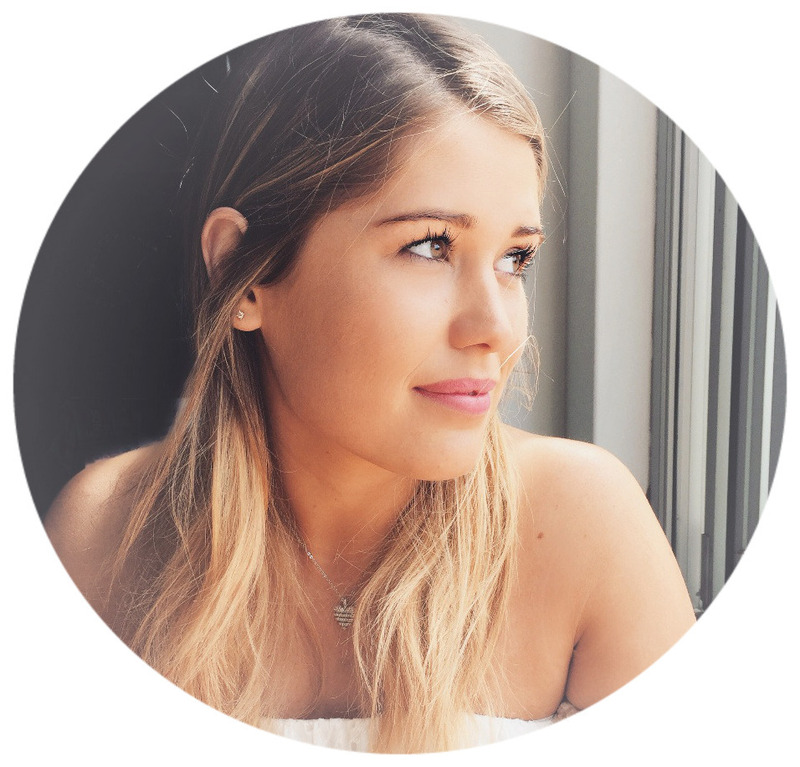 *This post was written in collaboration with Myst Boutique, however all views are my own. That is an incredibly gorgeous town. I love all the buildings and they way they seem to fit together. They're so incredibly stunning - one of the most photogenic cities!! I really love your photos! 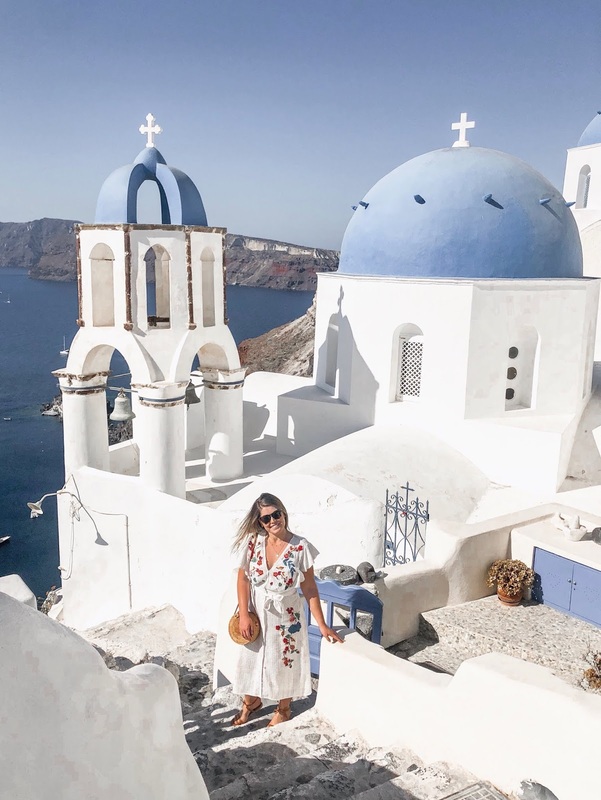 Santorini is on our top dream vacation! It is such a photogenic place - almost impossible to take a bad photo! I cannot recommend it enough, I will definitely be returning. 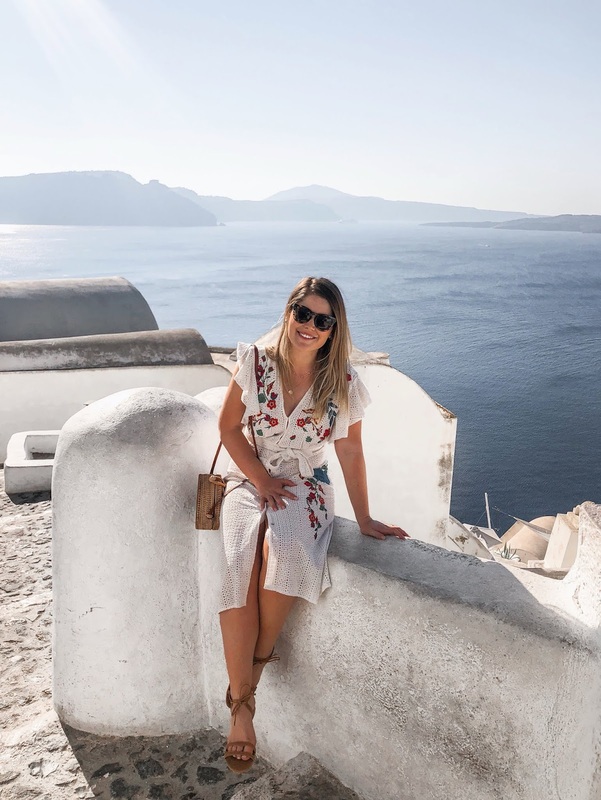 Keep your eyes out for my next post on what to do in Santorini! 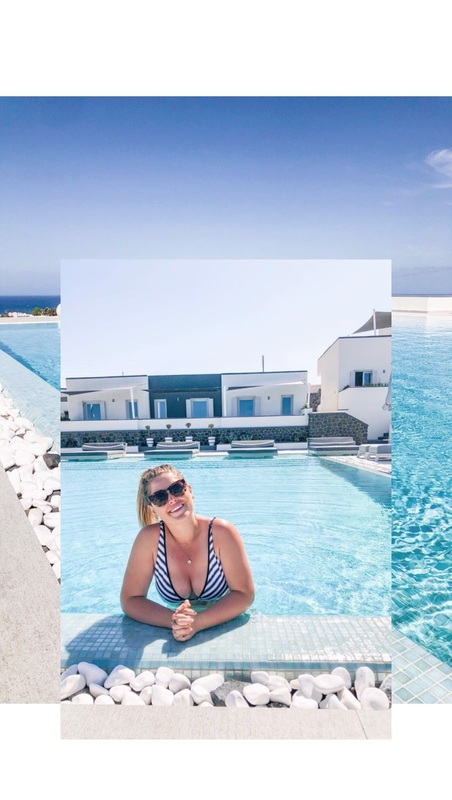 I love Santorini and your photos are so dreamy! I want to go back! I also love your hotel recommendation! Thanks for sharing! Santorini is such a beautiful place! I can see why you chose to go there for your honeymoon! 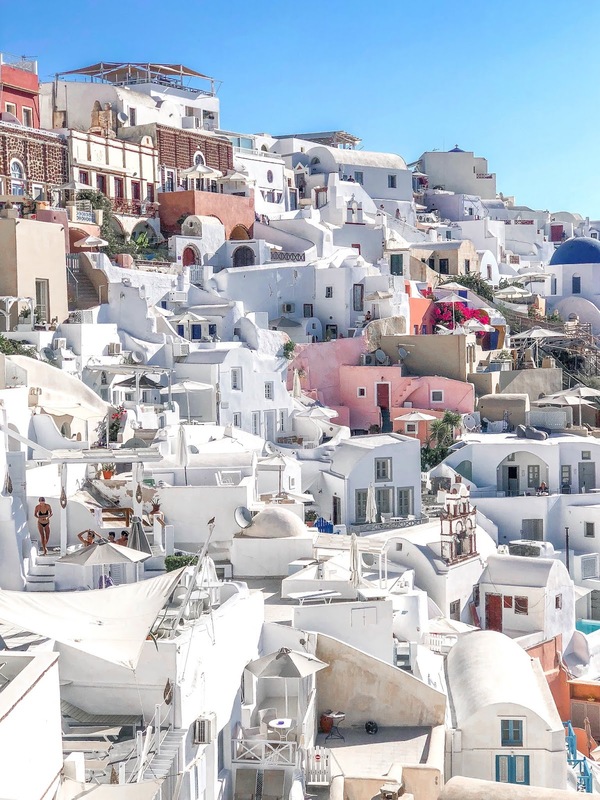 Santorini looks like a breathtaking destination. I would love to visit this area based on the pictures you have provided. Thanks for the post. Next time you'll have to go with him! What a beautiful view. Santorini looks like the perfect place to book a honeymoon. Thank you for sharing your experience. I have already had a honeymoon, but the view and those doughnuts just might make we want to book an anniversary trip. gahhhh still dreaming of those doughnuts - so so so delicious! I would love to visit Santorini. From your photos, it looks absolutely stunning! Seriously in love with all these photos! What an enchanting experience; I can't wait to visit someday!